Ah, 2017. What a year. I don't mean that lightly, either. It has been one very hectic, chaotic and unnerving year for the entire world. But in the world of books, immersed in the story-worlds that have taken over our brains, the world is a calmer place. 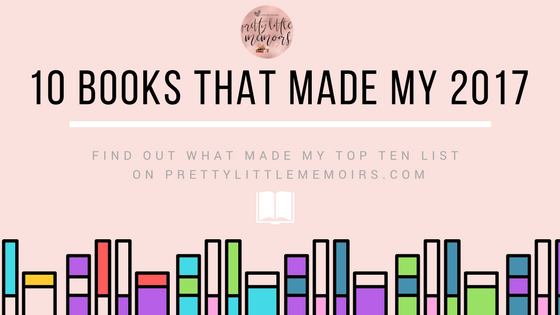 With our heads inside a book, we don't have to worry about them ever hurting us like real life can (unless our favourite Character gets killed off) so it's only fitting that I round up the Top Ten Books That Made My 2017 bearable. They are in order from ten to one, with one being my ultimate read this year! 10. We Are Okay by Nina LaCour This book was the first of Nina's that I've ever read and it was a total winner. I love the style of her writing and how much emotion showed throughout the scenes. For fans of Young Adult, if you haven't added this to your TBR this year, you definitely should. 9. Girlhood by Cat Clarke This is such an important, sheer perfect YA book this year. It had to make my list. 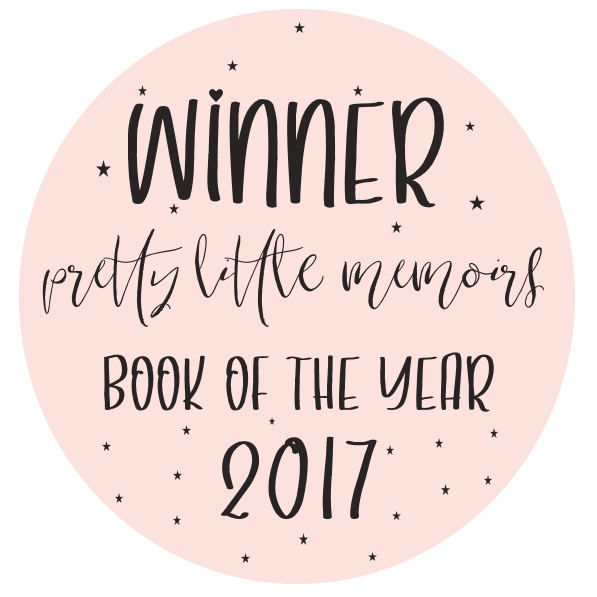 I'm pretty sure this was one of the Zoella book club books after I had already read it, so you can see just how much it would have been appreciated by the bookish community this year! 8. Otherworld by Jason Segel and Kirsten Miller One of the few otherwordly books that I've read this year and one of the best I've ever read! It has such a great premise, huge promise for the future and a celebrity name behind the title! 7. The Dry by Jane Harper I was on a blog tour for this stunning book and it's no wonder that it's gained a huge following. I'm reading Jane's second book (and on the tour!) very soon, so I think that says everything. I don't read the genre of mystery, in Adult especially, very often, but for Jane's books? I always will. She has a way with words that's music to my ears. 5. Nyxia by Scott Reintgen Into my top five and we have Nyxia! It was such a stunning novel. I remember staying up late to read it thinking how insanely awesome it was. I really can't wait to read more from Scott! I know that whatever he writes next will be going straight onto my bookshelf. 4. Girl Hearts Girl by Lucy Sutcliffe Lucy's story is probably one of the most important, yet extremely addictive and gorgeous books I read this year. It was a true story, about being her true self, growing up and loving who she wanted to. 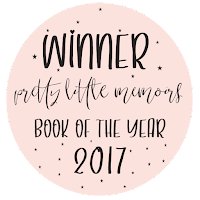 I had so many people say they picked up this book because they saw it on Pretty Little Memoirs! That makes me so happy. 3. Windfall by Jennifer E. Smith Coming in easily in my top three is one of my favourite YA authors of all time! Windfall was literally a breath of fresh air and had me swept off my feet with each passing second. Huge sweetheart points because this book was too cute! I loved it. 2. The Best Kind of Magic by Crystal Cestari Magic realism has never looked better in this hugely loved novel this year! I read this mostly in the park during early Autumn / late Summer and fell in love with the characters, the setting...literally everything. I can't wait to read book number two next year! 1. 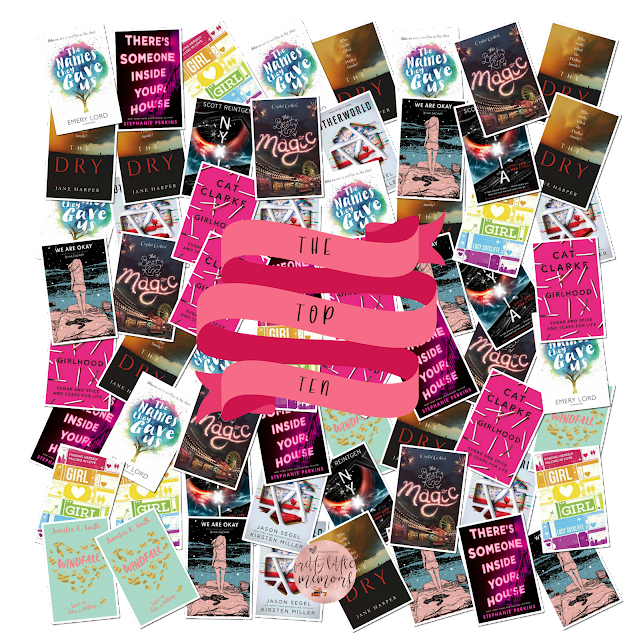 The Names They Gave Us by Emery Lord It's no surprise that the Queen of YA is in at number one for my favourite novel I've read this year. Everything that's troubling me seems to melt away when I read one of Emery's books and I can't recommend her to anyone enough. So happy that I got a little slice of heaven this year reading The Names They Gave Us! So there are my top ten books of 2017! 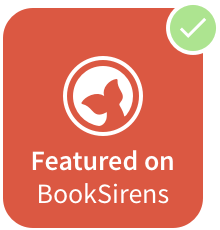 If any authors who have been featured above want a winner badge for their site, I've included one below! I would be honored if anyone featured it, but of course, it's not mandatory! I'm just excited you stopped by and read my post! Let me know on Twitter, Facebook or Instagram. Or you can leave a comment below!